This sensor-laden steering wheel cover wants to help prevent distracted driving by giving you feedback on your technique. Most states have laws against distracted driving on the books, but that doesn’t stop us from answering a call or responding to a text while behind the wheel. Although the Smartwheel isn’t the first device designed to combat distracted driving, it takes a novel approach to addressing the problem. 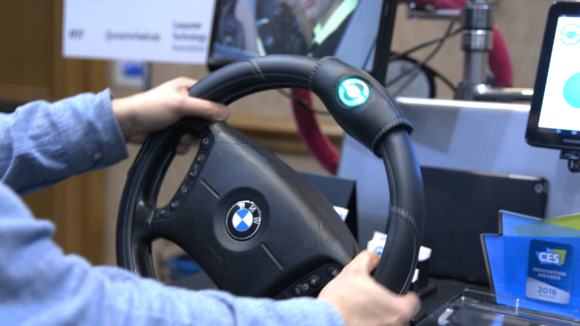 The Smartwheel is a steering wheel cover that detects the placement of your hands on the wheel. Take a hand off the wheel and the Smartwheel plays a high-pitched tone and its indicator light turns from green to blue until you place your hand back on the wheel. You can use the Smartwheel on any steering wheel, and it snaps right on, so there isn’t any messy installation required. 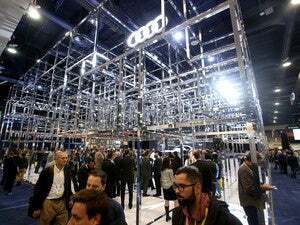 According to the company, the idea here is to teach teens good general driving habits instead of merely blocking your kids’ smartphones or recording them as they drive. A companion smartphone app lets teens and their parents review their driving and correct any problems. The&nbsp;Smartwheel has been in development for a while now—it was featured on the TV show Shark Tank back in 2012—but it’ll finally be available to the public during the first quarter of this year and retail for $199.